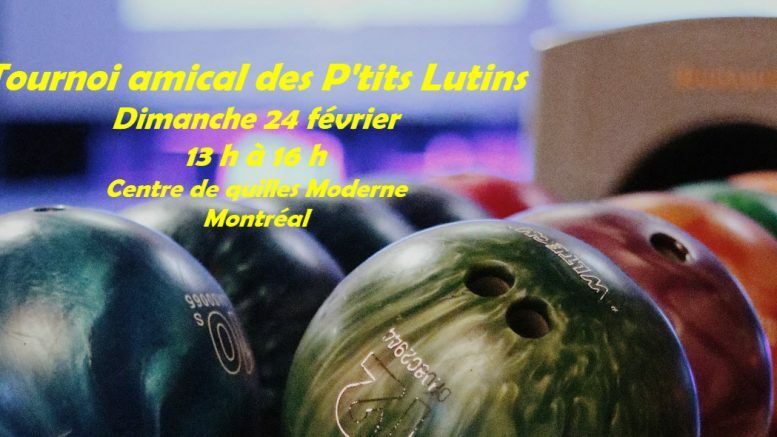 Join us Sunday February 24th, from 1 PM to 4 PM, at Centre de quilles Moderne, in Montreal for the 5th Annual Bowling Tournament benefiting the Little Elves Foundation. Register your team of up to 6 players ou register by yourself and the Elves will find a cool group for you to spend the afternoon with! Cost : $23 per person for 3 games, shoe rental included. There will be animation and surprizes. I was overwhelmed when my visiting nurse from Casey House gave me a wrapped gift (from Dennis) our last visit before Christmas. I am a long term survivor that over the years has a world that has become smaller. I spent most of Dec. in hospital and was told I was hanging by a thread (renal failure this time) and may have only 2 days left. I at their insistance arranged a DNR order and cried, Nobody was there, for me anymore (people grow weary of watching someone who is so limited in mobility and mostly bedridden.) They asked if I would prefer staying in the hospital or going to Casey house to pass on. I said I wanted to go home. I had no tree this year, but managed to get a few items out of storage to try to capture the xmas spirit for what in all likely hood my last Chrismas. Your gift gave me the greatest gift of all. I couldn’t believe that total strangers would go so far out of the way to make sure I had a gift to open Dec. 25. It reminded me of the goodness and selflessness that still exists, that the real spirit of what the holidays are is about giving unconditionally, I will always remember your kind gesture, it restored my faith in humanity. God bless you for what you do, you have touched my life in ways you will never know.